Hey TCP friends! 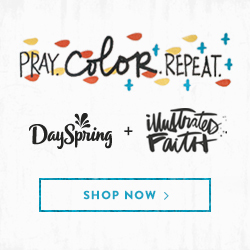 It’s Stephanie from Bits & Pieces (& Scraps) here today to share my latest layout with you. 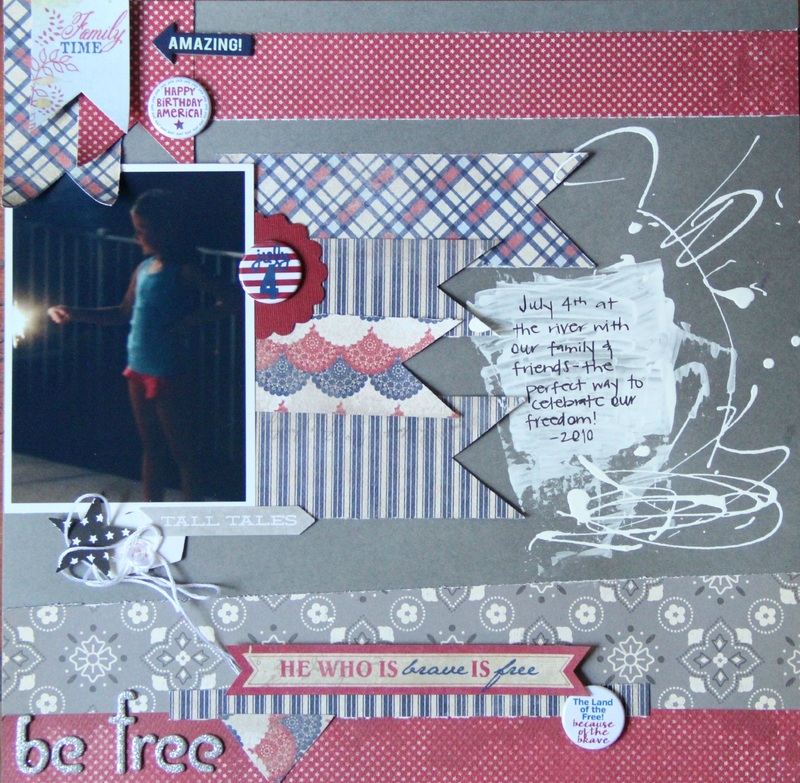 I created a Fourth of July page using the All American flair set. I have to admit, I don’t create many patriotic pages! They intimidate me, but these flair buttons make the process fun and exciting!! I used three of the six in the set. I hand cut several banners to accent the top corner and have one laying on top of my photo. I love how this takes away some of the blank space of my photo. I added a chipboard arrow & the “Happy Birthday America” flair. LOVE this one! More hand cut banners under my photo act as a matt. 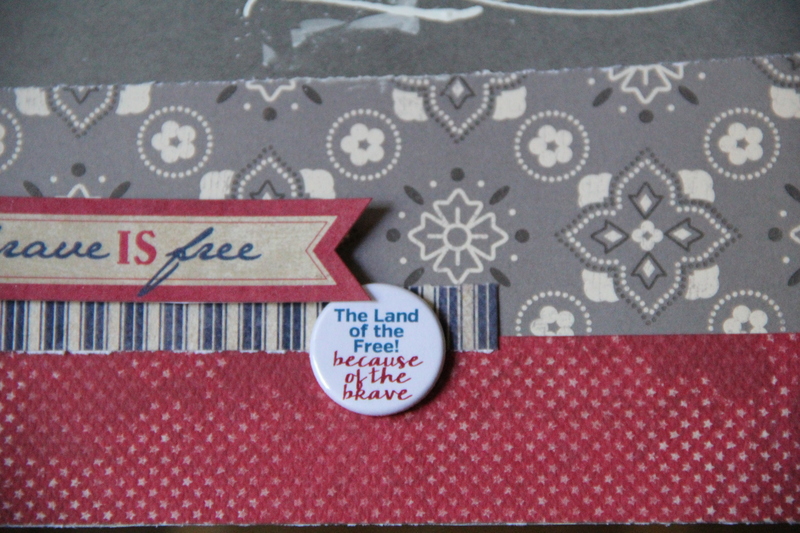 I then mounted the “July 4” flair onto a punched scalloped circle. The paint here acts as my journal block. A pre-printed banner at the bottom & “the Land of the Free Because of the Brave” flair finish off the bottom of my page. 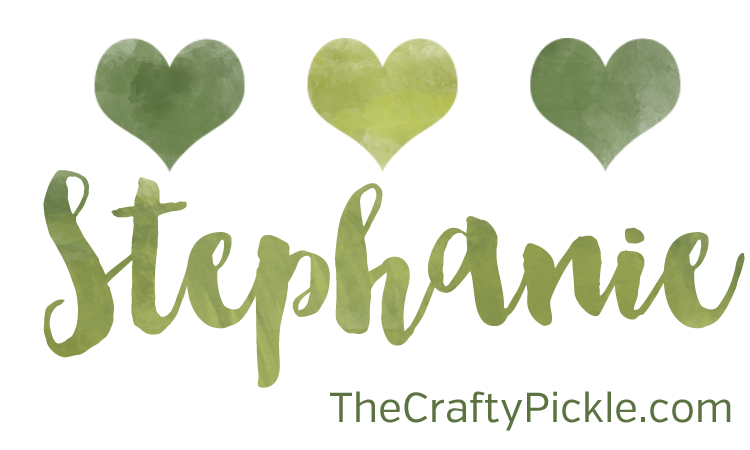 I kept my layout pretty simple and love the dimension the flair buttons add to my page! I could have used them all but wanted to save the remaining three for another page (or maybe cards)!! Thanks for stopping by! Enjoy the day! Previous Meet the NEW CraftyPickle Designers!